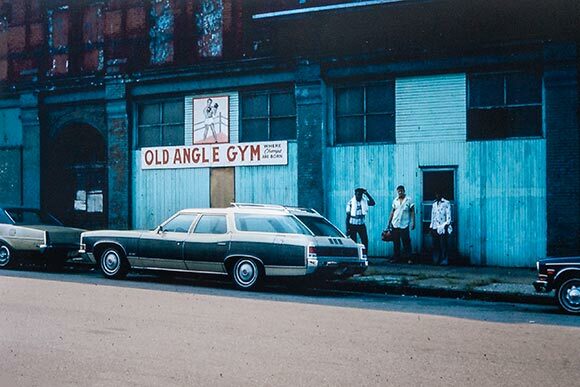 There’s an image I have in my head of a neighborhood boxing gym. It’s a brick building with a roll up door. It’s smashed in between a couple other small businesses, and around the corner from a few different connecting streets that make up a neighborhood. The image is drawn from back in the day, before fitness was fully realized and commercialized, and marketed to the unwitting subconscious desires of the masses. It was before Facebook algorithms, Instagram follows, and hashtags like #gymmotivation. The equipment was minimal and so was the space because the owner wasn’t trying to sell a million memberships to people who wouldn’t come in. The owner was trying to reach people in the neighborhood. His marketing campaign was to know people and be known. When I opened CrossFit 310, there were not a lot of CrossFit boxes period. CrossFit existed mostly in garages at first. There were more CrossFit garage gyms than actual CrossFit gyms where people would pay money to join. Now there are two CrossFit gyms with a half-mile of us and 20 CrossFit boxes within a 5 mile radius. That may sound like a big problem for most businesses, but as the years roll on, the proliferation of CrossFit has forced us to scrutinize every detail of our approach to the methodology. Who are we and what do we do with people in a sea of fitness options? In between the gym and my house (about 1.7 miles) are thousands of people who need fitness and nutrition help. They need help losing the 10-15 pounds to look a little better naked (yup, I started there because nearly everyone is looking for that). They need help with figuring out what to do when their knees or shoulders ache, or their back is stiff. They need help with the 5k, 10k or Spartan race they signed up for. Or the dream of that Marathon...one day. They need help with helping their kids and their sports, or giving them some confidence to move and play even though they love art or playing the oboe. There are hundreds of streets, a high school and a junior high with thousands of people. I believe that what we do for our gym is good for everyone, but also know we’re not FOR everyone. But, out of those thousands of people, there are a hundred. There are a hundred people who are looking for exactly what we do. They’re looking for a place that takes movement seriously, but never takes themselves too seriously. They’re looking for a group of people who don’t have it all together, but we’re working on it together, one day at a time. They’re looking for trainers and members who will meet them right where they are. They’re looking for a place to be challenged and people to laugh with. And they’re looking for change. Real change. Not a fad, not a quick fix, but a brave look at and a daring leap towards true health, and uncommon fitness. I’ve lived with my family on these streets for 12 years now. These are my neighborhoods and coffee shops (you’ll see me there for sure!). My main marketing strategy is to know people and be known. We’ll see each other at a coffee shop. Our kids will play soccer together, or maybe you’re in a Mom’s group with my wife. Maybe we’ll meet at church, or on the volleyball court. Maybe our businesses are in the same building, or you have a friend that works out with us and CrossFit 310 just sounds intriguing.